After your crop has been harvested and manicured the next step in the process is to start drying cannabis buds. Marijuana buds must be dry before smoking since it is difficult to smoke wet buds. Drying marijuana buds converts THC from its non-psychoactive to its psychoactive neutral form. When marijuana is heated or burned the THC converts to its psychoactive form and this is due to THC being a heat-activated substance. When you are hanging your cannabis plants to dry the transport of fluids inside the plant continues but at a slower-drying rate. When marijuana has been dried out relatively slow over 5 – 7 days or more will yield uniformly dry buds that have had very minimal THC decomposition. In comparison to very fast, rapid drying that can cause more THC decomposition. To speed up drying time with your harvest, removing larger leaves and stems will reduce the amount of moisture that will need to be dried out. The more fan leaves and stems then more time will be needed to dry and manicure your harvest. Having proper ventilation will help you to control the humidity within the drying area while helping to reduce and eliminate odors. For best results in the drying of your harvest should be relatively slow taking 5 – 7 days. Ideal humidity for the drying area should be around 45% – 55%. Many growers start with a higher percentage the first day then reduce the humidity by about 5% per day, this will take longer but will produce nicely dried buds. If you want to speed up the process you can start with a lower percentage of humidity of around 45%. The ideal air temperature within the drying area should be between 65 – 75° F (18 – 24° C). Having the drying area without direct light will help maintain the quality of the drying buds since light can degrade the THC content in the buds. Smaller harvests can be easily dried in cardboard boxes, cabinets, closets and on hanging drying shelves. Larger outdoor and indoor crops will need much larger spaces to dry. Places with humidity above 80% will extend the amount of time that it will take to dry your buds. If the humidity in the room is 30% – 40% you will not want very much air circulation in the room since this will cause the buds to dry out very fast. Depending on the climate in your area that you are growing and drying it you may need to use humidifiers, dehumidifiers, heaters or air conditioners. Be sure to check the buds daily if you are drying them out on a solid surface because you will need to gently rotate the bud to prevent fungus and mold from occurring. Drying buds can be easily taken over by spider mites so it is a good idea to have a clean, sanitized drying area. If you are drying your harvest with their branches intact, hanging by the plant’s branches will save space/time that will facilitate slow, even drying. It will take up more space if you are drying your harvest where the cannabis buds have been removed from the branches. Utilizing vertical shelves will maximize your drying area. Many growers use either portable, folding clotheslines or cables for drying buds that are still on their branches. If you are drying only the buds of the plant you can purchase portable, hanging drying racks or build drying racks with fine screens to dry on. Building a drying room is easy. For a small harvest, you can utilize small boxes, rooms or growing tents. If you are expecting a larger harvest then you can build a room or purchase several growing tents that you can use for your drying room. Utilizing the most vertical space will maximize your drying area. The drying time depends fully upon the temperature, humidity, bud-density, amount of drying buds and the area that you are drying it in. You can check the dryness of buds on branches by bending the stem and if the stem is dried and snaps very easily then they are a more than likely done drying. The cannabis buds will need to be dried more if the stems are still wet and do not snap easily. Light (UV rays), friction from handling and heat will degrade your buds very fast. Be sure to prevent light from the sun and grow lights making contact with your drying buds. If you are constantly moving and rotating your buds, this will cause the buds to lose a lot of THC resin. Also, temperatures above 75° F (24° C) need to be avoided since high temperatures will degrade you bud quality very quickly. When marijuana buds have been dried, to keep them in mint condition you will want to store them in a dark, cool area inside of an airtight, glass container. Some growers place their jarred buds in a refrigerator where the temperature stays above 45° F (8° C) so they can stay cool, but not become cold and frozen since that will hurt the buds. If buds are overly dry they crumble into pieces, to fix this issue you can place a flour or corn tortilla inside of the jars and containers. When doing this the moisture from the tortilla will be transferred to the dried buds causing them to regain some moisture. 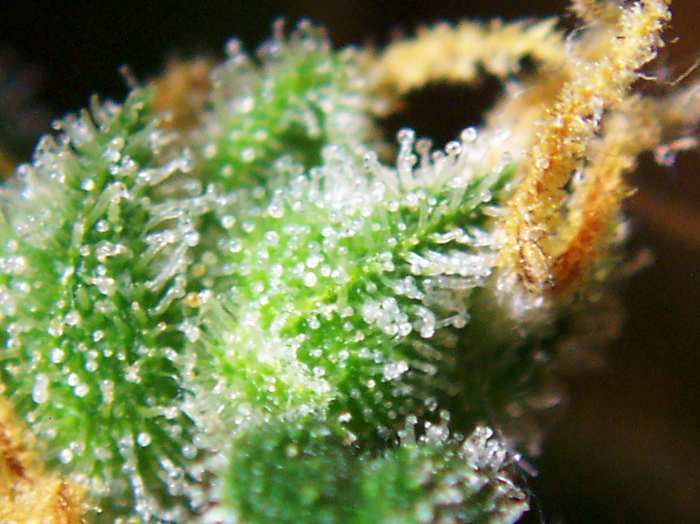 You can use other foods and methods to easily add moisture back to the buds. If you choose another way to be sure that what you use will not break down, easily mix with the buds or cause too much moisture to be added. Some growers add orange or lemon peels to the cannabis bud container to create a citrus aroma and a slight amount of moisture. Another method for drying is to freeze dry your buds. Freeze drying involves using dry ice (carbon dioxide) and placing it into a container with the drying buds. Dry ice contains virtually no humidity. The water molecules from the drying cannabis buds are drawn out from the buds by the dry ice while keeping the temperature below 32° F (0° C). Placing equal amounts of dry ice to buds in a container will ensure good drying. You will place the dry ice under the buds within the container then place the container into your kitchen freezer. Be sure to check the container every 12 – 24 hours. When there is no more dry ice the buds are more than likely dry and if they are not dry then add more dry ice. This method for drying buds is efficient in retaining potency, fragrance, and freshness as well as causes little degradation of the THC resin or break down of chlorophyll. 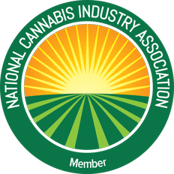 This entry was posted in Cannabis Industry, Cannabis Topics and tagged how to trim marijuana, how to trim marijuana plants, manicuring cannabis, manicuring marijuana, trim cannabis, trim marijuana, trimming cannabis, trimming cannabis plants, trimming marijuana, trimming marijuana plants.